Raising funds for new computers to help develop our our pupils enthusiasm and computing skills. We need your help to ensure the enquiring minds of our children today develop into the experts of the future. St Mary’s School Association in East Grinstead are hoping to raise £2,000 to help towards the cost of a new ‘Computer Set’. The school already has one set but when shared between 7 classes with 30 children per class, only limited time and use is achievable. Another set will double our ability to provide a very popular educational activity and help encourage more children with a keen interest to join our after school Computer Club. These will be housed in a mobile charging trolley and installed by our IT provider JSPC Computer Services. 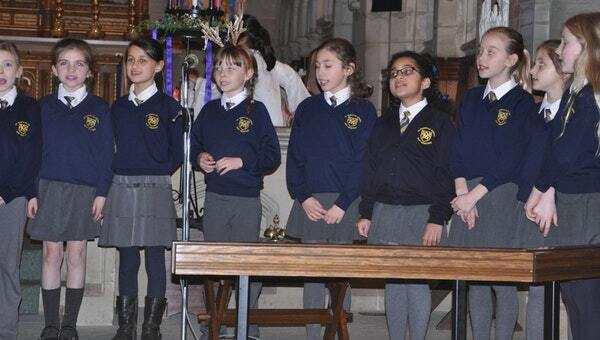 The School Association has already raised £5,000 towards this target, through various fundraising activities. So our total is £2,000. We hope that through the Rocket Fund we can finally reach our target and place that order! If we're fortunate enough to raise more than our target, then we would also like to buy 5 iPads.